Does anyone know if there are any tables left at the Auburn show, the coordinators are unresponsive at the moment ? 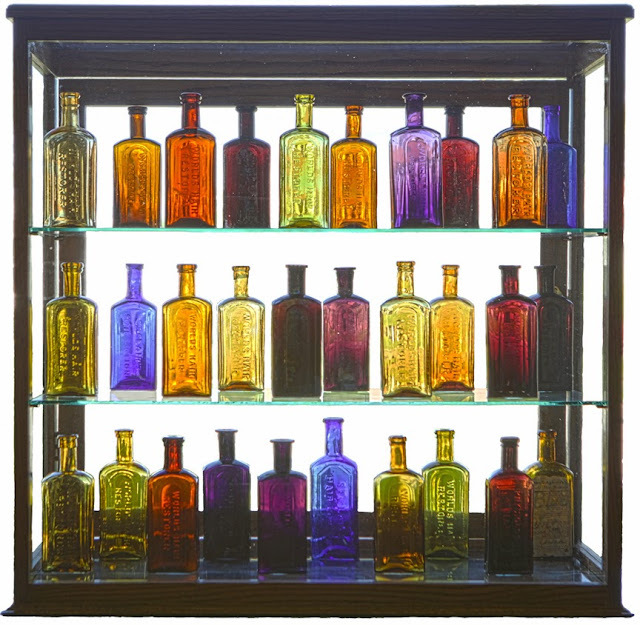 Nice collection of colored hair bottles! I especially like that large size St. Clairs in the center, bottom shelf. That is one rare western bottle! Dale M.